Last edited by AhmedBahgat on Sun Feb 21, 2010 12:13 pm, edited 1 time in total. oops says a muslim who is not happy with any of the existing translation of the koran.You can find the local vernacular for god in all OT translations.Its no big deal. 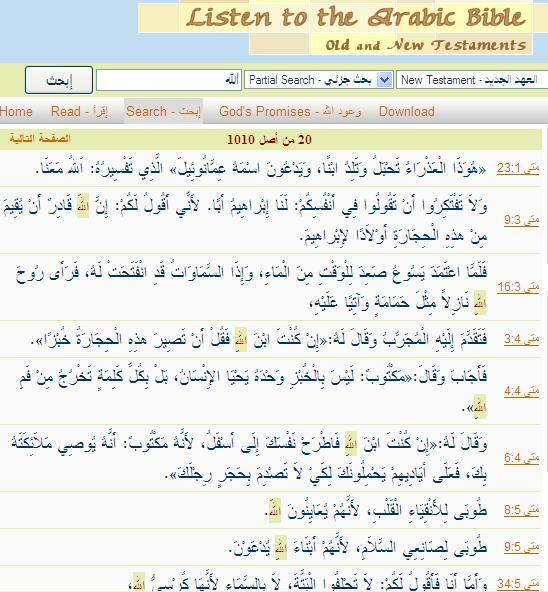 I am quite sure we mentioned previously that"allah" became the word for "god" in Arabic translations of the bible. 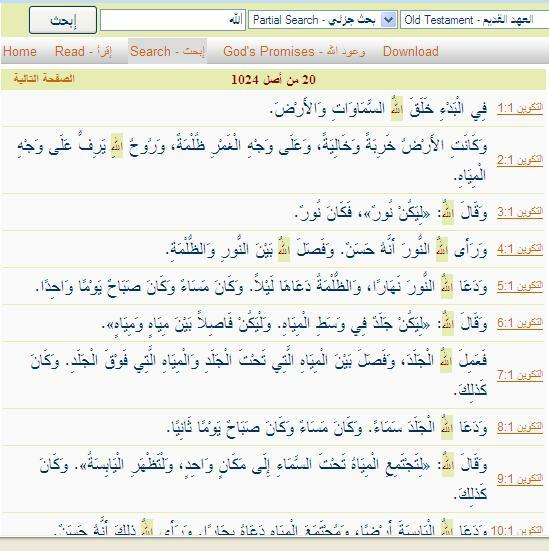 We have have also seen that easliest Arabic bible is about 300 years AFTER Mohammed. By that time all Arabic speaking Christians where dhimmis and translating the bible into Arabic certainly required permission from the Muslims potentates and attracted very close supervision.In fact, "allah" was used at Muslims insistance. Christians did not make much of a fuss about it, and we know the reason why: the understood the ambivalence of the term "allah". To them, it was "al-ilah", and they did not care that the same word also happened to be the name of that false god nasty old Mohammed used to control his thugs. Last edited by manfred on Sat Feb 20, 2010 3:04 am, edited 1 time in total. which according to 29.27 belonged rightfully to the seed of Lot, Isaac and Jacob, without even slightly mentioning Ishmael. didn't have any real connection with the 'sole one', as wrongly translated, but with 'One Of', 'One From' or 'One among a group'. I've said we'd look upon 112.2 and its wording: As-Samad... Yusuf Ali said it was among the most difficult word to translate. Only, which is challenged by the opening 'Ahad'. Is As-Samad best translated by any of those, like ' The Everlasting Refuge'? unaffected, unchanged. I personally think that the later definition is the appropriate one but, in such a mess, no one could ever be sure. What is believed to be equivalent to a third of the Quran is far from being a clear text. Sura 112, intended to delineate the heart of Islamic monotheism, has been a major source of mass confusion and embarrassment for Muslims. After all, if Allah is so concerned with wanting people to have an accurate and precise understanding of his nature then why didn’t he make this Sura clear? 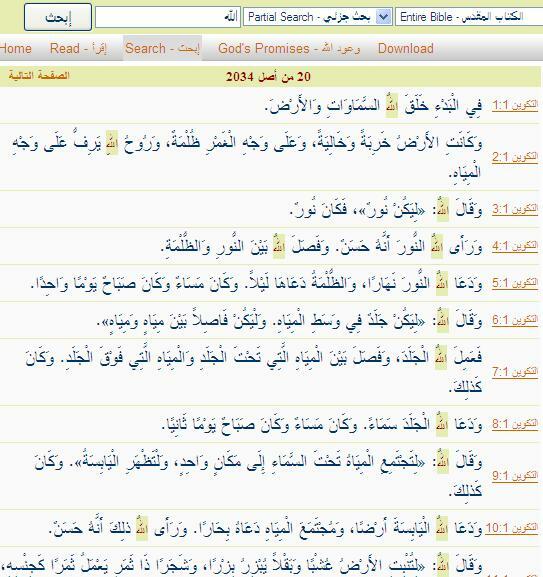 If the Quran is supposed to be clear Arabic, the standard of Arabic eloquence, then why does this particular Sura use words which left even Muslim scholars perplexed to the extent that they couldn’t even decipher the exact meaning in order to insure that their theology was sound? In other words, even Muhammad’s companions and also the early commentators simply did not know what "Samad" means..... From Arabic sources, we learn that an idol of 'Ad was allegedly called samud, which brings us rather close to the environment of Muhammad... In view of this material, the suggestion may be made that as-samad in the Qur'an is a survival of an ancient Northwest Semitic religious term, which may no longer have been understood by Muhammad himself, nor by the old poets (if the sawahid should be genuine). symbol of Unity. I suspect it has more to do with the tribal notion of ONE chosen people than to anything related to G-d.
its beginning as well as for its continued existence." His argument was that all things all around us have a necessary condition for their existence, which he called a cause. IF (a big if) you accept that then it follows that causes must be arranged in chains. The chain cannot be circular as that means all things cause themselves, which contradicts the "if" sentence we started with. The chain cannot be infinite (Thomas argues) because that would mean that all things are caused by each other, which does not make sense, there must have been a beginning. This means something must have caused the FIRST thing. This first cause must be eternal, and have no other cause, otherwise it would obviously not be the first cause. It is connected with all things and yet different from all other things. This first cause can also only be one, as,if there were two,if follows that either one caused the other or there is a third thing that caused both. This first cause he then procedes to define as "God", as simple as that. In his mind he has therefore proved the existence of one only, eternal God. Even though 1000 years old, it is pretty neat as far "proofs" for the existence of God go. (except, I have to add, it is of course not a proof as such, an argument, yes, a good one,yes, proof, no...) For a start, this argument does not by necessity lead to a personal God,much less a "he", or even any sort of "allah", and it says nothing at all about God's involvement in the world,if any. I find it quite hilarious that Muslims resort to using Thomas's theology, the same Thomas who had nothing at all good to say about Islam. Come on Muslims Don't hide and Answer Cat, seems clear according to the Quran Mohammed is ruled out as a prophet. Abraham was born around 2000 to 2100 BEFORE CHRIST and Mohammed was born around 570 AFTER CHRIST. it was Mohammed who claimed that Ishmael was his forefather, but in fact the claim that Ishmael was the founding father of the Arabs comes from a Jewish text called the book of Jubilees,not part of the bible. The real Ishmaelites assimilated with a number of other people and simply disappeared, died out as a tribe or nation. Their diluted blood line in found in many people of the Middle East today. The term "Arab" here is a translation of the Hebrew Arvim referring to the Nabateans. The Nabateans were known as rather nasty pirates and bandits hanging round the Red sea area around Aqaba, and into the Arabian peninsula. 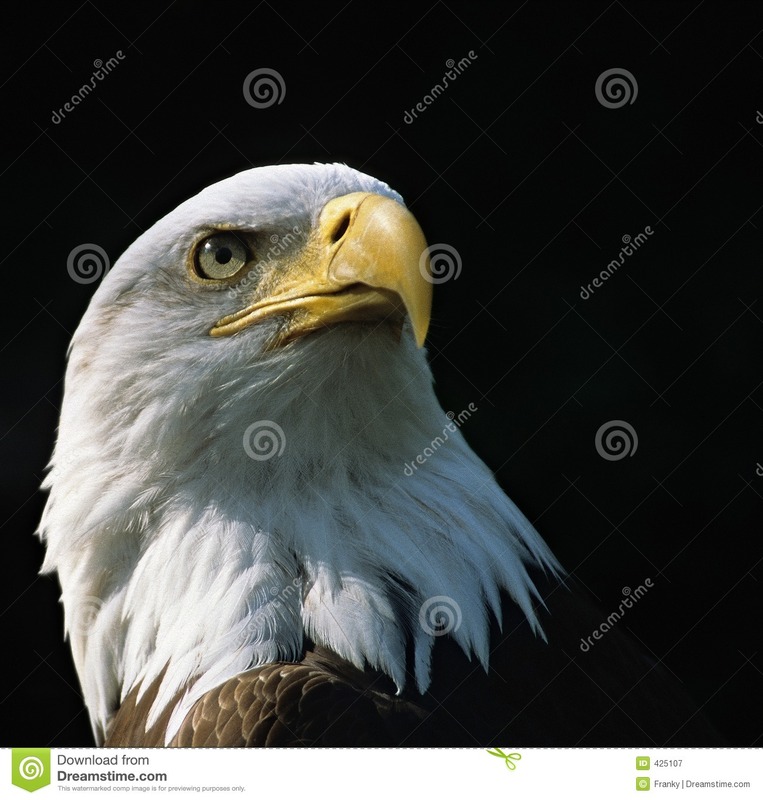 They did not make an appearance untill about 580BC, so they cannot have a connection to Abraham at all. They do, however, seemt o have taken over at some point the city of Petra in Jordan. It was Mohammed who, upon hearing the story of Ishmael, and possibly also the historically false apocryphal reference to Ishmaelites being Arabs, recognised the immense usefulness of this idea for his own purpose. Thus Ishmael was promoted from immigrant into Arab land into the father of all Arabs. This was Mohammed's way to write himself into the line of prophets. Jews and Christians laughed at him for being so silly, and he never foregave mockery,not even from his own family. In short, the quranic Ishmael is a lie, from start to finish, and apart from the fact that he MAY have lived in land that later became Arab, Ishmael has no connection with Mohammed at all. Last edited by manfred on Sun Feb 21, 2010 2:53 am, edited 1 time in total. Hey moron if Muhammed was Abraham's grandson, then I guess you and I are brother and sister. The heart of the matter from 29.27 is that Allah is NOT bestowing prophethood to Ishmael at all. He's unnamed but Isaac and Jacob. 'Buraq'... ! Because the Islamic accounts clearly stated that Abraham left Hagar and Ishmael in Mecca, never to go back. Mecca into a holy sanctuary. The Abbasid dynasty was in the habit of constructing false genealogies, first to justify their 'Coup d'Etat'. It is most significant to find the Qur'an once again taking no issue with the Bible and we read (surah 29.27): And We gave (Abraham) Isaac and Jacob, and ordained among his progeny Prophethood and Revelation, and we granted him his reward in this life: and he was in the Hereafter (of the company) of the Righteous. Yusuf Ali's translation is not strictly correct. The text says that God placed the Nubuwwah and the Kitaab, the Prophethood and the Scripture, into Isaac's line, and in another place the Qur'an says that al-Nubuwwah, the Prophethood, was expressly given to the Children of Israel (Surah 45.16). * Isaac was the only promised child of Abraham, a fact which the Quran agrees with (cf. Genesis 17:15-21; Surah 11:69-73, 37:112-113, 51:24-30). Ishmael was never a promised child. 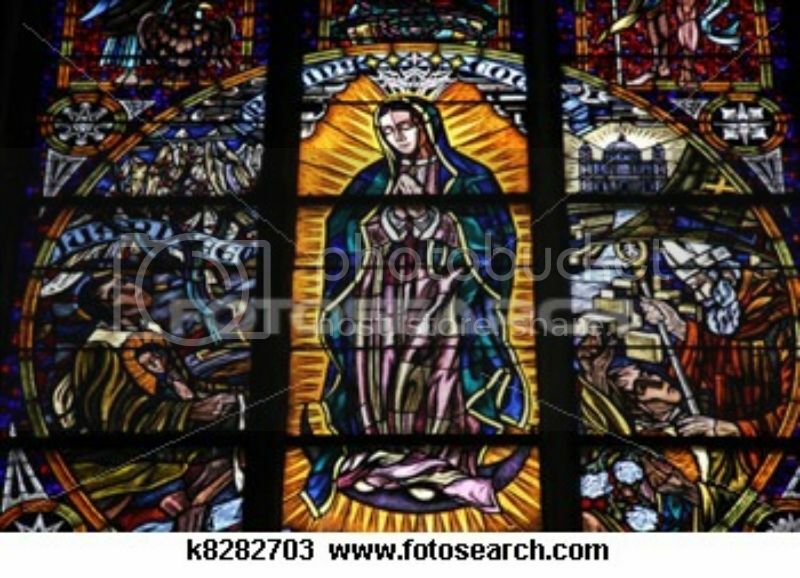 * Isaac was conceived miraculously to a barren mother and a very aged father, with the Quran likewise agreeing (cf. Genesis 17:15-17, 18:9-15, 21:1-7; Galatians 4:28-29; Surah 11:69-73, 51:24-30). Ishmael was conceived normally without the need of any miraculous intervention. Muslims like to say that the Bible has been corrupted. Well that's only from their Meccan 'fantasy land' traditions! The Cat wrote: The heart of the matter from 29.27 is that Allah is NOT bestowing prophethood to Ishmael at all. He's unnamed but Isaac and Jacob. And remember in the book Ismail; indeed, he was truthful in (his) promise, and he was a messenger, a prophet. -> See you stupid, Ismael is mentioned as being A MESSENGER AND A NABI: وَكَانَ رَسُولًا نَبِيًّا, i.e. and he was a messenger, a prophet. So when he withdrew from them and from what they worship other than Allah, We gave him Ishaq and Yaqoub, and each of them We made a prophet. -> See dumby, what the verse says about both Ishaq and Yaqoub: وَكُلًّا جَعَلْنَا نَبِيًّا, i.e. and each of them We made a prophet. I.e. from the perspective of Allah, Ismael has more of a mission as messenger and a prophet of Allah than both Ishaq and Yaqoub who were not messengers but were only prophets. When ever someone gets personal and calling people names, it means they know that they cannot answer. First, you mean ISHMAEL, not "Ishmeal", right? Then, what would like me to explain more,or show you evidence for? Now, have a look at that geneology you supplied: Abraham and Mohammed are a MINIMUM of 2500 years apart. Your have supplied 25 steps,that is 100 years for each generation. So ALL the people mentioned must have been at least 100 years old when they had a child. Pacemakers were not invented yet, nor was Viagra. The normal age-gap between father and son is between 20 and 40 years. There are NO scientifically confirmed cases of a 100 year old man having fathered a baby I have ever heard of. Have you? So, bin that list, it makes no sense at all. That's just the invention of a well-meaning but not hugely intelligent Muslim. Simple Maths shows this to be obviously wrong. Manfred - even for my benefit I appreciate if you re-argue the case. New eyes are always watching often anonymously. Ishmael is mentioned as a messenger because the Arab people were still to be taught of the Scriptures. Jews were already so given. Ishmael was already the Messenger of Allah to the Arabs, then Muhammad must have been sent to the Mongols or whomever else ! to his nation, among hundreds of others, ruling out Muhammad as to the Arabs! Yet he's not the legitimate 'son of the Promise'. So I ask AB and Muslims, where is it stated either in the Koran or the Bible that Ishmael was from the rightful seed of Abraham? said: O my father! Do that which thou art commanded. Allah willing, thou shalt find me of the steadfast. seed are some who do good, and some who plainly wrong themselves. bear a child when I am an old woman, and this my husband is an old man ? Lo! this is a strange thing! According to the Koran (and the Bible) it is Isaac who is of divine intervention (like Adam and Jesus), Ishmael is not. Period. cat said : Ishmael is mentioned as a messenger because the Arab people were still to be taught of the Scriptures. Jews were already so given.